Does the market promote its own intrinsic and selfish values, or does it merely reflect the values of society? This question is becoming more important, as current opposition to globalization and the unfettered operation of market forces demonstrates. Instead of debating the issues in abstract terms, this collection offers reports from all areas of the business and policy sectors. Sharply contrasting accounts emerge from contributors who have been actively involved in business and finance in the United Kingdom, while other authors discuss business models which have a very different set of values from those of most participants in commercial markets. Alternative perspectives are provided by contributors responsible for the design and implementation of public policies with non-market values, and the collection concludes with reflections on the values implicit in modern economic analysis. 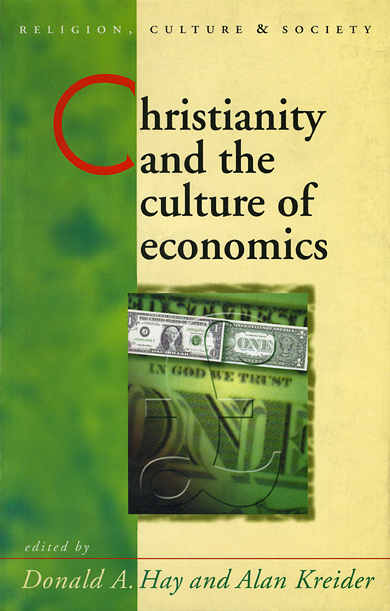 Although no simple answers to the question posed emerge, Christianity and the Culture of Economics provides an informed debate on the key issues involved in the discussion of the supposedly conflicting relationship between the market and spiritual values. 3 Does shareholder value drive the world? 8 What is happening to the welfare state? 9 Economic growth: is more always better? 10 On being a Christian economist.